Today this mom blogger (me!) is being interviewed by WSMV-TV (Nashville NBC) on unique and affordable baby shower gifts. I am posting about each item I will talk about in case you miss the show or if you caught the show and want more details on the products and where you can find these great baby shower gifts. 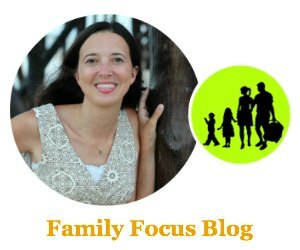 Also, if you are here for the first time, I hope you will like Family Focus Blog on Facebook to keep up with our great articles and giveaways! Below you’ll find photos, descriptions and websites for all of the cool baby shower gifts. Sidekick is the first and only full-size diaper bag with a built in child carrier. 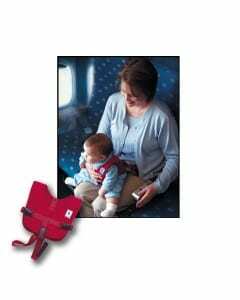 Adjustable strap allows you to carry baby at either hip. Includes spacious compartments and pockets for all of baby’s and mom’s things, such as cell phone and baby bottle pockets, bottle/snack pouch, changing pad sleeve (w/ included changing pad), and more. 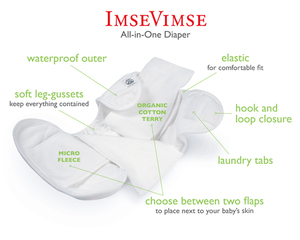 Baby-friendly fabric easily wipes clean. All in a very stylish, hip design. Multiple colors to choose from. The Sidekick is designed for infants and toddlers up to 35 pounds and between 6 months and 3 years of age. Sidekick retails for $129 and can be purchased online at gogobabyz.com and at retail stores nationwide. These cool baby shower gifts are just so cute! Zach & Chloe Baby Footwear lets little ones take their first steps in style, coming in styles like “City High Tops”, “Mary Janes”, “Ballerinas” and “Oxfords”. Zach & Chloe Baby Footwear is as healthy for baby as it is stylish, made of certified organic cotton and low-impact dyes. Each pair of Zach & Chloe Baby Footwear has anti-slide soles to stabilize babies’ little feet and elastic ankle bands to keep them on. Retail for $4.99 per 2-pair box at Walgreens stores throughout North America. BabyBriefcase is a document organizer designed specifically for parents and their babies and toddlers, particularly useful and important for health-related documents. Stylish and charming, the mom-invented BabyBriefcase stores all the documents and information relating to a new baby in a way that makes everything easily accessible whether at a hospital, doctor’s office, on vacation or anywhere else. Every document that deals with the new baby has a special place for it in the BabyBriefcase so that if an emergency arises, parents don’t have to sort through to find what they need. BabyBriefcase retails for $29.95 and can be purchased online at babybriefcase.com or at retail stores throughout North America. What is your favorite baby shower theme? Which of these cool baby shower gifts do you think you’d like give or receive? I was provided with many of the cool baby shower gifts in the hopes that I would share the products on the TV segment. I received no monetary compensation and the opinions expressed are my own. Those leg ruffles are the cutest, team them with a ruffled baby knickers and you have one stylish baby. Or a personal floor duster as they crawl across the floor !